The Potomac Nationals (53-44, 15-13) utilized a pair of late solo home runs off the bats of C Pedro Severino and 3B Oscar Tejeda to cover the Salem Red Sox (45-52, 12-17) 3-2 in the series Game Two clash on Sunday afternoon on LewisGale Field inside Salem Memorial Ballpark. 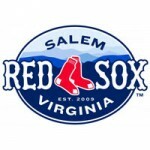 The Potomac Nationals beat the Salem Red Sox 10-1 at Pfitzner Stadium Tuesday night, for a seventh consecutive win over the Sox. The Potomac Nationals put up a four spot in the bottom of the third inning en route to a 5-2 win over the Salem Red Sox at Pfitzner Stadium Monday night. 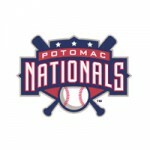 The Potomac Nationals beat the Salem Red Sox 11-4 Sunday night at Pfitzner Stadium. John Simms picked up his second win of the season, going five innings allowing six hits and four runs. 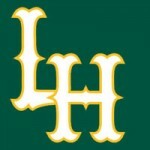 Emerson Landoni went 3-for-4 with a home run to give him back-to-back three-hit games and four RBIs since joining the Lynchburg Hillcats, but Lynchburg fell to Potomac, 10-2, at Calvin Falwell Field Saturday night. The Potomac Nationals (31-27, 15-16) edged the Wilmington Blue Rocks (29-29, 16-13) by the final score of 2-1 inside the confines of Frawley Stadium in series Game Two on Wednesday evening thanks to a terrific job by the P-Nats’ pitching corps. The Potomac Nationals (30-27, 14-16) were beaten by the Wilmington Blue Rocks (29-28, 16-12) in a pitcher’s duel at Frawley Stadium by the final score of 5-3 on Tuesday evening in their first head-to-head meeting of the 2014 season. The Potomac Nationals (27-26, 13-11) used their fifth walk-off win to defeat the Salem Red Sox (27-26, 13-12) at Pfitzner Stadium 5-4 on Friday night as DH Ryan Zimmerman made his first rehab start coming back from a broken right thumb. Pinch hitter Khayyan Norfolk’s successful sacrifice fly in the bottom of the tenth inning gave the Potomac Nationals a 5-4 victory over the Salem Red Sox at Pfitzner Stadium Friday night. The Potomac Nationals (26-26, 14, 15) blasted the Winston-Salem Dash (21-31, 10-15) on Thursday night at BB&T Ballpark winning 14-4 in the series finale. The Potomac Nationals (25-23, 13-12) used 16 hits to crush the Salem Red Sox (26-23, 13-14) 10-6 in series Game Three on Sunday afternoon at Salem Memorial Ballpark. The Potomac Nationals (21-18, 11-10) split a Saturday twin bill with the Myrtle Beach Pelicans (27-14, 12-9) at TicketReturn.com Field inside Pelicans Ballpark. The Potomac Nationals (20-15, 10-7) were shut out by the Frederick Keys (16-20, 6-12) 7-0 on Tuesday night at Harry Grove Stadium as Keys RHP Parker Bridwell flirted with the first no-hitter in the Carolina League since Aaron Northcraft (Lynchburg Hillcats) dealt a seven-inning “no-no” during the 2012 season. The Potomac Nationals (20-14, 10-6) received a three-RBI effort from RF Brandon Miller en route to an 8-4 double-up of the Frederick Keys (15-20, 5-12) on Monday evening at Harry Grove Stadium in the series opener. The Potomac Nationals (19-13, 10-7) edged the Myrtle Beach Pelicans (21-13, 14-5) in a seesaw contest on Saturday night by the final score of 6-5 in an entertaining nail-biter of a Game Three at Pfitzner Stadium amidst a terrific team effort. The Potomac Nationals (18-13, 9-7) dropped a heartbreaker to the Myrtle Beach Pelicans (21-12, 14-4) in Game Two on Friday night in 11 innings as the Pelicans swatted four home runs after the 8th inning to earn a 7-5 triumph. The Potomac Nationals (18-12, 9-6) were dominated by the Myrtle Beach Pelicans (20-12, 13-4) on Thursday night at Pfitzner Stadium and fell 10-4 in the series opener of four contests. A controversial call at first base by Base Umpire Travis Godec in the bottom of the 9th ended the Potomac Nationals’ (18-11, 9-5) Game Three series finale with the Frederick Keys (13-17, 10-8) on Wednesday evening at Pfitzner Stadium and gave the visiting club a 3-2 victory. P-Nats DH Randolph Oduber ripped a game-winning RBI double to the gap in right center field in the bottom of the 9th in series Game Two on Tuesday evening to carry the Potomac Nationals (18-10, 9-4) to a walk-off 4-3 victory over the Frederick Keys (12-17, 9-8). The Potomac Nationals (16-10, 9-6) crushed the Winston-Salem Dash (10-17, 5-10) in the Game Four finale at BB&T Ballpark on Sunday afternoon winning 11-3. The Potomac Nationals (15-9, 8-5) edged the Winston-Salem Dash (9-16, 4-9) in Game Two on Friday evening at BB&T Ballpark marking just the fourth time the Nationals have claimed a victory at Winston-Salem’s confines since the beginning of the 2012 season. The Potomac Nationals (14-9, 7-5) were stifled by the Winston-Salem Dash (9-15, 4-8) in Game One of a four-game set on Thursday evening at BB&T Ballpark after the home club tallied a pair of runs in the bottom of the 7th inning to garner a 3-2 victory. The Potomac Nationals (14-8, 7-4) earned a 6-5 walk-off victory in series Game Two over the Lynchburg Hillcats (9-14, 5-7) on Sunday afternoon at Pfitzner Stadium when 1B Shawn Pleffner lined an RBI single into center field in the bottom of the 9th inning. The Potomac Nationals (11-8, 4-4) were defeated by the Winston-Salem Dash (6-13, 3-5) 4-2 in the series opener of a three-game set at Pfitzner Stadium on Wednesday evening. The Potomac Nationals (11-7, 7-4) tamed the Lynchburg Hillcats (9-9, 4-6) on Monday evening in the Game Four finale winning 4-2 at Lynchburg City Stadium on Calvin Falwell Field to earn a two game lead over the Hillcats in the First-Half Carolina League Northern Division race. The Potomac Nationals (10-7, 6-4) edged the Lynchburg Hillcats (9-8, 4-6) in Game Three of their four-game series by the final score of 6-5 on Easter Sunday at Lynchburg City Stadium on Calvin Falwell Field to capture sole possession of first place in the Carolina League’s Northern Division. Khayyan Norfork slid across home plate in the bottom of the 9th inning at Pfitzner Stadium on Monday night on a double play attempt by the Carolina Mudcats (6-5, 4-3) to send the Potomac Nationals (6-5, 4-3) to their first walk-off win in 2014. The Potomac Nationals (4-4, 2-2) outlasted the Carolina Mudcats in the series opener to earn a 4-2 win on Friday night at Pfitzner Stadium handing the visitors their first loss of the season on the road. An early 4-1 lead went by the wayside for the Lynchburg Hillcats today as they fell 7-5 to the Potomac Nationals in the series finale.